Last day at the office for Bill Gates on June 27th 2008 | Tech for Lunch! 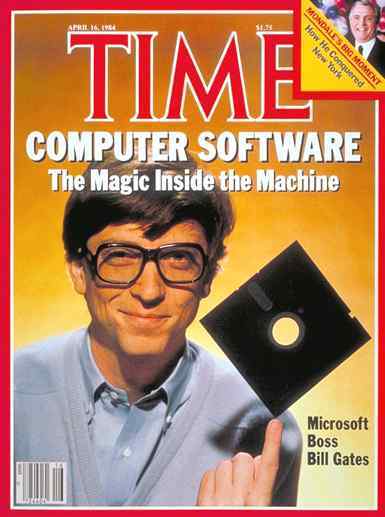 Microsoft’s most famous Founder, Bill Gates, will be stepping down from his duties on Friday, June 27th 2008. Over the last few years, Bill Gates has been giving away some of his duties in order to focus more and more on his self-funded charity the Bill and Melinda Gates Foundation. During this time, the Microsoft visionary tasks were still handled by him and so we did not see too much of a drastic change. It will basically come down to three people to handle the tasks that he took care of regularly. Ray Ozzy as the chief software architect and Craig Mundie gets the chief research and strategy officer duties. The final person is one that we have already seen many times because he has been in the spotlight for a while, Paul Allen. He gets the CEO position. After retiring, Gates will remain chairman of the Microsoft board of directors and still its largest shareholder. The impact of his retirement are difficult to predict, and the echoes go both ways. Some think that we won’t see any notable difference from the software giant, while others believe that this will be a fatal loss. I think that Microsoft has been working hard at following/establishing the trends and they should be able to keep afloat for quite some time. I large company like that doesn’t go belly-up overnight and Bill Gates will still be watching because he holds that largest share of the company. Microsoft software may not be the best every time, but keep in mind that it is usually the most widely used and so there are more people looking for problems and holes in their software than any other vendor out there. I have yelled my share of bad words at Windows for giving some weirdo error messages and not letting me do this or that, but the fact remains that it is still very usable software and it keeps my contracts coming. Have a happy retirement Mr. Gates!